Asia’s dependency on rice cultivation for both subsidence and income is intuitively understood. The Food and Agricultural Organization of the United Nations (FAO) estimates the agricultural population of lowland rice cultivation in Asia to be over 470 million – larger than the entire population of the United States. Improvements in rice cultivation would stand to lift hundreds of millions from debt and poverty. Conversely, the disruption of rice cultivation would threaten to mire hundreds of millions in deeper debt, inescapable destitution, and all of the negative socioeconomic implications that follow. Asia’s rice farmers produce between 1-2 harvests a year depending on the climb and climate of any given region. They do so to sell their rice, generally to mills who in turn sell the final product to exporters or for domestic consumption. Out of each harvest, rice farmers keep a portion for their own consumption, but the vast majority of what they grow is for income.The UK-based Rice Association claims there are up to 40,000 species of rice, with a wide variety of characteristics suitable for different markets and uses. 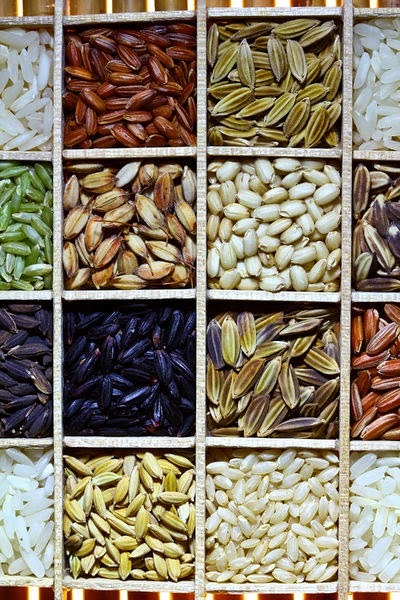 Rice farmers grow those which local, national and regional markets are best suited to move. In nations where subsidies are offered for rice crops, cheap, easy to grow varieties are chosen. More desirable or exotic species are grown by independent farmers who have developed their own cooperative with millers, marketers and exporters. The rice Asians eat depends on both economic and market realities. The impoverished eat what is cheapest and most easily available, but not necessarily that which is healthiest. Poor diet leads to vitamin deficiencies, a persistent problem among the impoverished. A lack of basic healthcare and education allows the otherwise easily rectified problem to continue unresolved. The World Health Organization (WHO) states on their website, “an estimated 250,000 to 500,000 vitamin A-deficient children become blind every year, half of them dying within 12 months of losing their sight.” This statistic is global, not regionally specific to Asia, but Southeast Asia in particular suffers from such deficiencies. The appeal to emotions and sickly children diverts from the real threat Golden Rice poses to the very people it claims to be helping. People who grow rice, grow it to sell to markets. These markets are well-developed, based on indigenous agricultural technology and tradition, and linked to export markets with stringent requirements (many of which restrict or outright ban GMO). The introduction of GM rice for any reason, would threaten or potentially destroy the livelihood of hundreds of millions of people.Proponents of Golden Rice suggest rice farmers replace their profitable crops with genetically modified rice that will treat only one of many vitamin and mineral deficiencies they may or may not potentially suffer from, deficiencies that could be easily solved through other methods. Clearly illogical in terms of “helping” the malnourished, Golden Rice must serve another purpose. The author, in their attempt to defend Golden Rice, reveals the true agenda behind the otherwise useless crop. Governments, international organizations and the private sector (i.e. 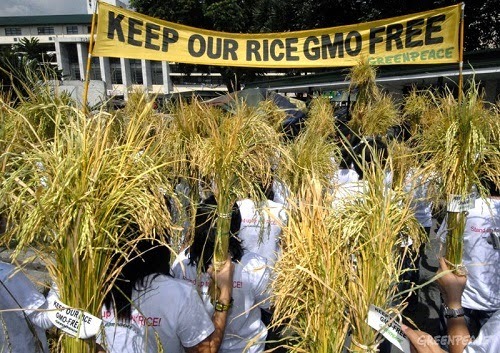 Monsanto, Syngenta, Bayer) will flood Asia with Golden Rice, where it will intermingle and contaminate rice species that have been in use for centuries and form the foundation of Asia’s historical and modern agricultural industry. The livelihoods of some 470 million people who depend on rice farming in Asia (not to mention those that import and consume Asian rice beyond Asia’s borders) would be jeopardized by the proliferation of Golden Rice disseminated under the dubious guise of humanitarian concerns.The marketing machine behind Golden Rice doesn’t ever seem to address this critical fact. That Golden Rice seeds will be kept and sown each year by prospective cultivators only increases the dangers of cross-contamination with other, economically and culturally valuable species. It is in all regards a flagrant attempt to infiltrate, corrupt and overtake rice production at its very geographical and socioeconomic heart. It is akin to a plague openly being designed, tested and prepared to be unleashed on a population. The spread of Golden Rice too is a plague that will compound exponentially the challenges already facing millions of farmers across Asia. When all it takes to solve vitamin A deficiency is what WHO claims is “supplementation” that costs “a couple of cents a dose,” and the growing of gardens that solve not only vitamin A deficiencies Golden Rice claims to target, but a whole host of other deficiencies Golden Rice most certainly does not address, the fact that Golden Rice is not what it is promoted to be is obvious. It is, as IRRI coined it, a “Trojan horse,” that will not only fail to stop malnutrition, but will expand the very destitution, poverty, and helplessness that causes malnutrition in the first place.